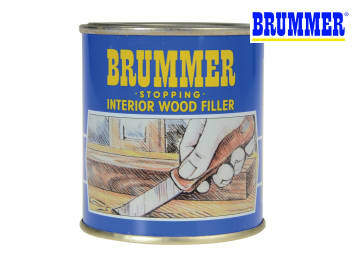 Brummer Yellow Label interior grade wood filler which is available in many wood shades. 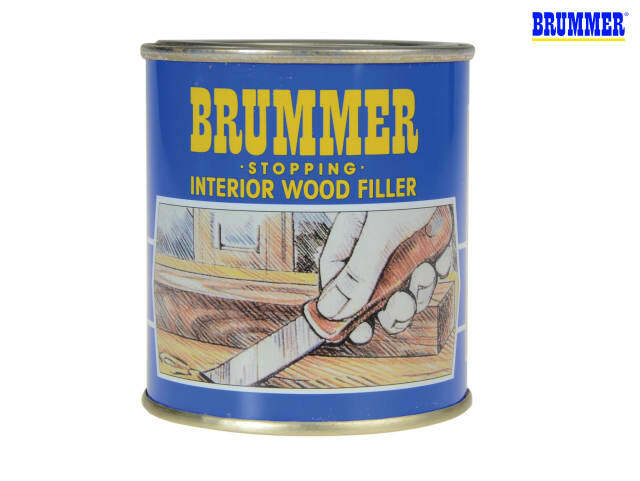 The perfect solution for filling holes and cracks in all types of timber, from fine antiques to modern furniture. May be mixed with stain and can be used under nearly all decorative finishes.